Been thinking about a new hairstyle but don’t know what to choose? Maybe you have really wanted to try a bob but can’t find the perfect style? If so, you are in the right place. 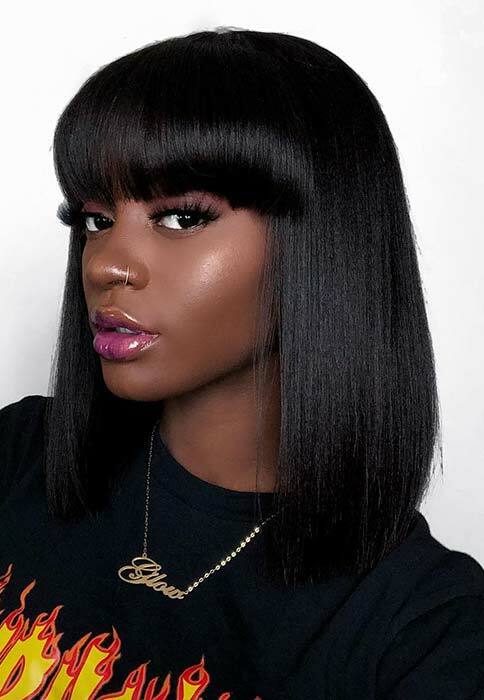 We have found 25 of the most stunning bob hairstyles for black women on Instagram. There is something for everyone, whether you are looking for curly hair, braids, straight cuts, lobs and more. What are you waiting for?! Take a look so you can book your next hair appointment! The first hairstyle we would like to show you is this long, straight bob with bangs. Bangs look amazing with bob cuts and it is a popular style loved by celebrities like Rihanna. 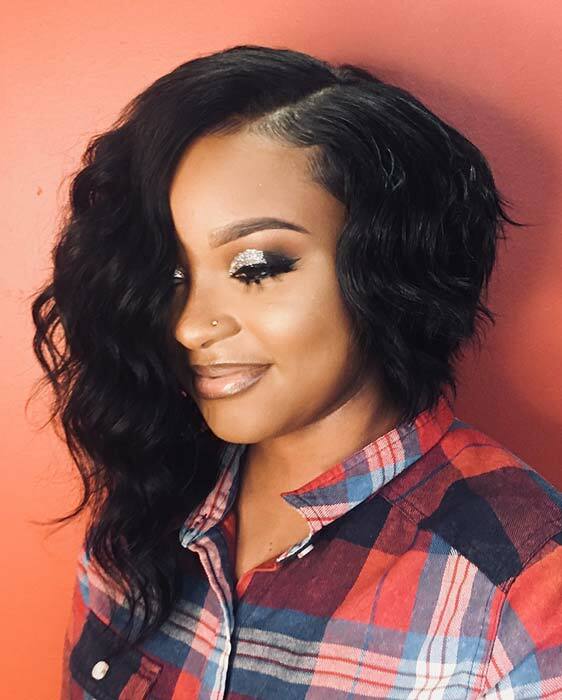 This hairstyle was created with a wig from Myfirstwig. Wigs are an easy and stylish way to try a new look. 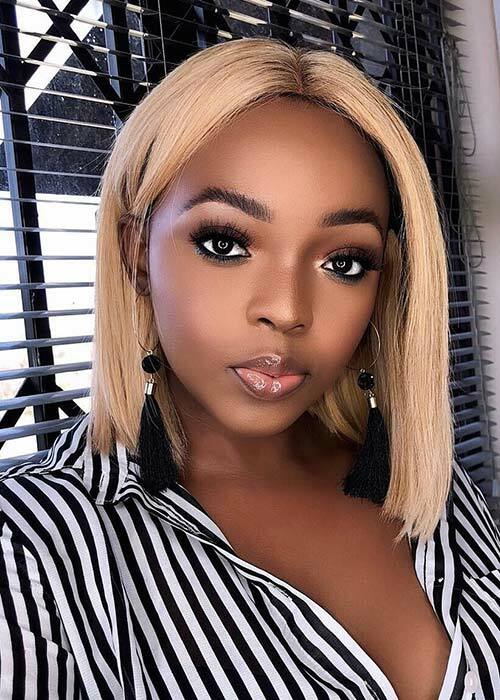 You can find wigs online in a bob style in different colors and lengths. Next, we have a trendsetting bob with twists. For this bob, the cut is asymmetrical and features thin twists and a hair cuff. You can recreate a hairstyle like this one or you can have thicker twists in a different color. 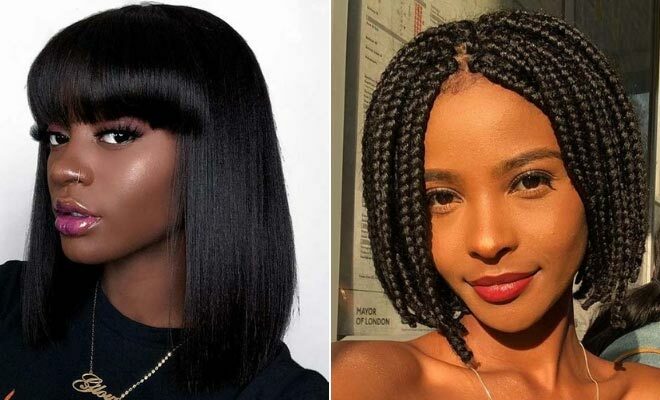 No matter what twists you choose, you will have a beautiful bob. If you want to change your look without being too dramatic, try a hairstyle like this one. 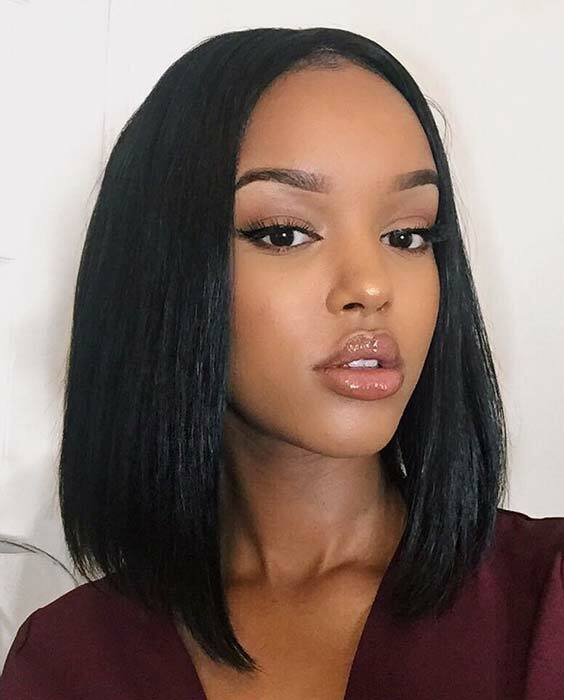 Here we have a sleek and straight long bob. A bob like this is chic and will never go out of style. It is a hair idea that will suit everyone and it can be dressed up and down to suit any occasion. Braids look beautiful when styled into a bob too. Here we have a great example. 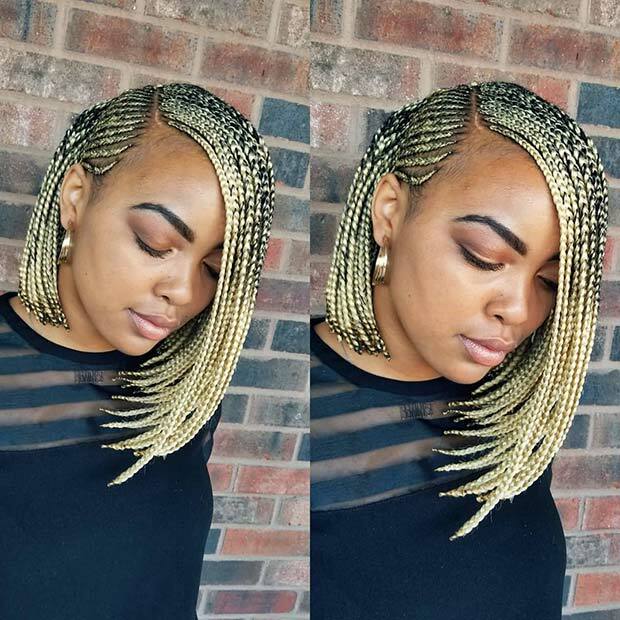 The hair features thin blonde braids that create an asymmetrical bob. An asymmetrical bob is when the hair is longer on one side. 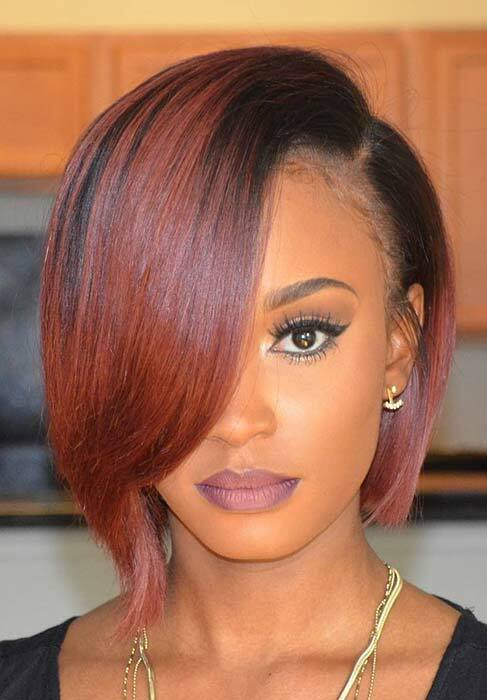 This is a trendsetting bob and it is perfect for the ladies who want a bold hairstyle. Talking of asymmetrical bobs, here is another stunning idea. This one features beautiful, wavy hair that creates a trendy looking bob. It is just another gorgeous way to wear the asymmetrical style. Go for pretty, soft waves like featured or sleek hair for a trendy look. Check out this next beauty! This hair idea is a short bob with volume and a beautiful wave style. It is a chic and elegant bob with a vintage glamour vibe. This is the perfect hairstyle for nights out, parties or events where you want to dress to impress. Spice up your look with a bob like this next one. This short bob is chin length and is a little longer on one side, giving you that trendy asymmetric look. The hair is also a beautiful, warm red shade. Hair like this is gorgeous and it is a stylish way to add color to your look. 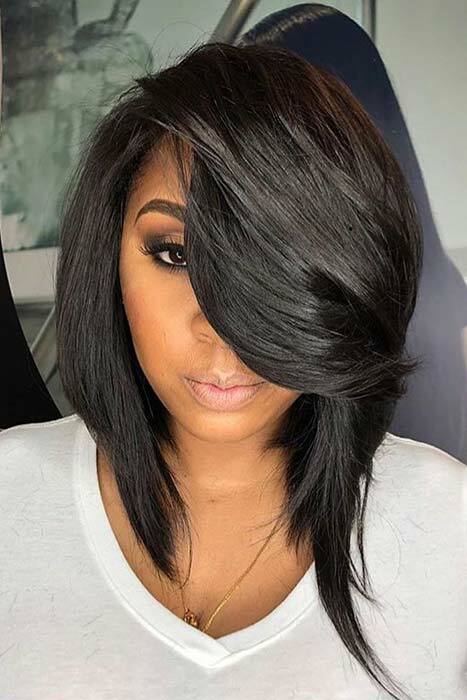 This bob is a wig and you will be able to find wigs like it online. 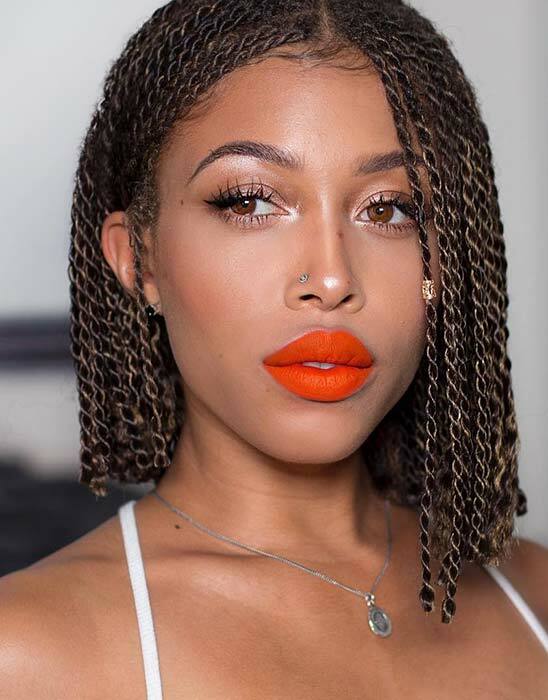 Another stylish way to wear a bob is with faux locs. Here we have a faux locs bob, accessorized with gold hair cuffs. This is a cute and trendy hair idea that will suit everyone. 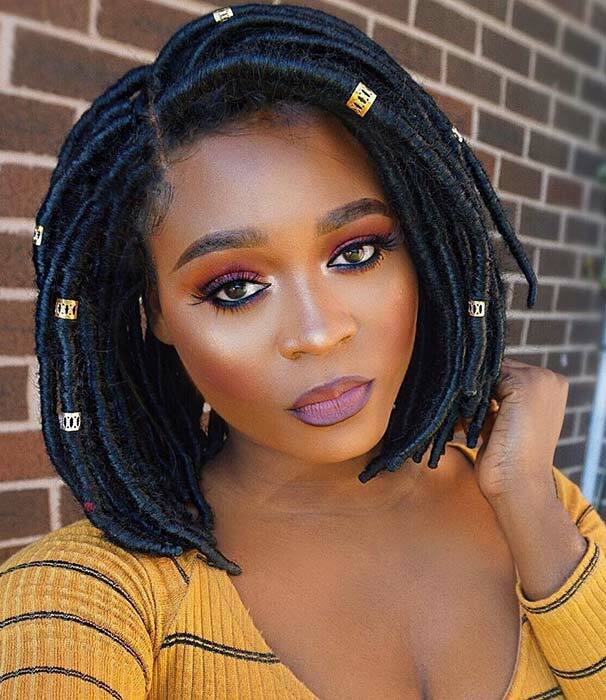 You can recreate this look or try thinner locs or maybe try faux locs in a bold color. Either way, your hair will look amazing! Brighten up your look with a bob like this one. This short, blunt bob is a beautiful, light blonde color. Blonde makes a statement and is easy to wear. Any blonde color will look gorgeous with a bob, so you can choose any shade from icy to golden. 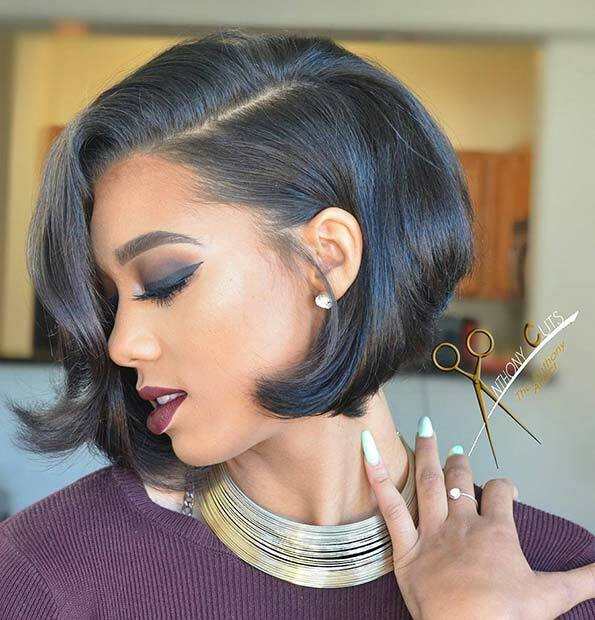 If you want to try bob style but don’t want to go too short, then this next idea is for you. This beautiful hairstyle is a lob or long bob. It is still quite short but not as much as some of the other styles. It is a trendy hair cut, perfect for the ladies who want to go shorter without too much of a dramatic change.